Many libraries are turning to A-frame shelving units to store their audio and visual collections, such as CD’s and DVD’s. A-frame shelving offer libraries the flexibility in what type of items are displayed, and also mobility to move the shelves around if they need to. A-frame shelving used in the front entrance of the library for a new book display is the best way to present new items to the public. A-frame library shelving systems are fully configurable units designed to display and store books, DVDs, CDs, and periodicals. What makes these shelves stand apart is their versatility. 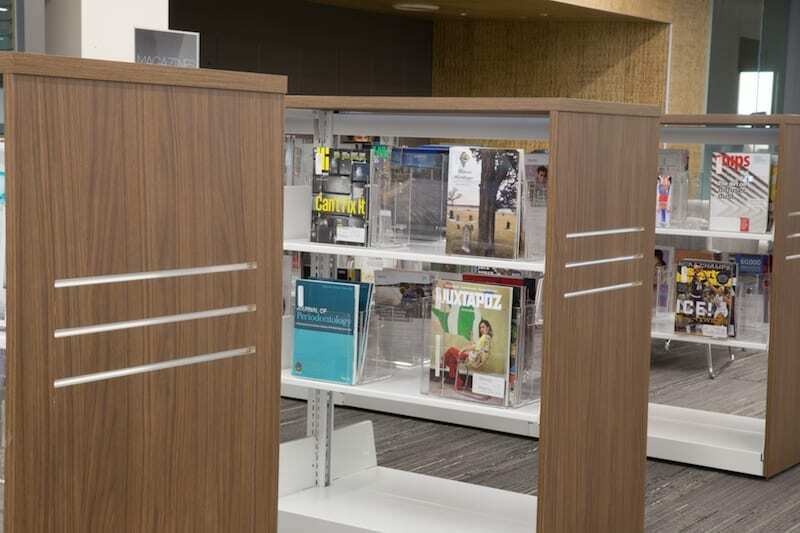 These shelves are interchangeable, which allow libraries to easily change the function and layout of their spaces. These a-frame shelves are designed to encourage browsing while still providing ample storage. When stacked on top of these shelves, new books, staff favorites, periodicals, and other media will shine. Mobile shelving. If you need it to be. This shelving system’s versatility extends beyond superficial options to include choices regarding mobility, sizing, and finishes. We can supply these products in a variety of sizes as single-faced or double-faced shelves. Size options include a 3.5-foot height that’s perfect for children, up to a 5.5-foot height which can accommodate a large number of materials while maintaining an attractive display. Casters are available which turn these already versatile shelves into mobile carts. Or, single-sided units can be placed against a wall for stationary applications. All units are finished with durable powder-coat paint in any of Spacesaver’s range of colors. 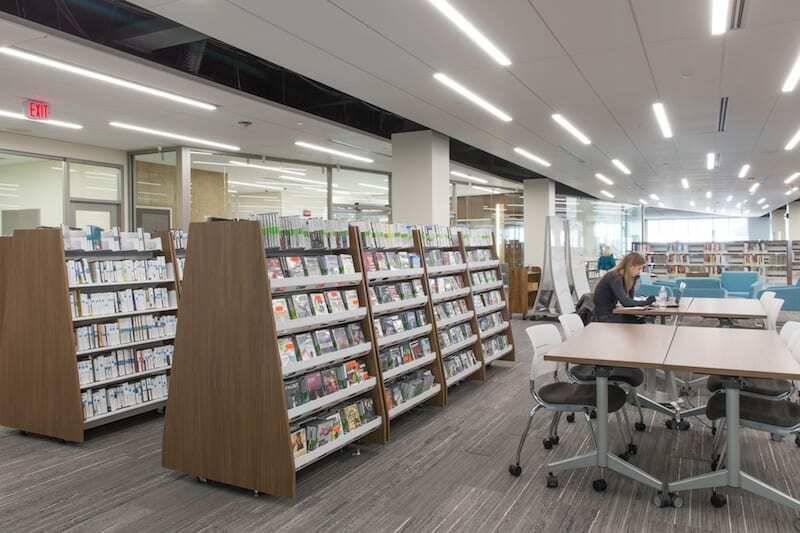 End panels complete the look and are available in standard colors — or custom end panels can be specified for complete integration with a library’s interior design. See how you can repurpose your library space to create engaging displays for your media.